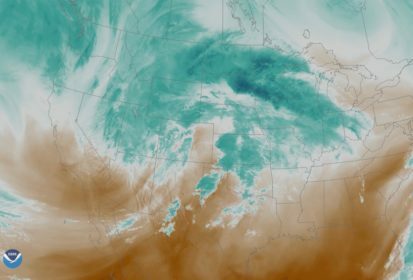 Chicago | Reuters — A second “bomb cyclone” blizzard hitting the United States was limiting the movement and processing of corn, soybeans and wheat around the Midwest and Plains on Thursday. Grain trader Cargill said it was closing three of its grain handling facilities in Minnesota, two in South Dakota and one in Nebraska on Thursday because of the storm. It also was closing a beef processing plant in Colorado. Rival Archer Daniels Midland temporarily closed several grain and edible bean elevators in South Dakota, North Dakota, Minnesota and Wisconsin due to the snow. The storm was dumping more than a foot of heavy snow and winds were gusting up to 105 km/h by midday across northeast Colorado north up through northern Wisconsin, the National Weather Service said. U.S. Agriculture Secretary Sonny Perdue said at a Thursday news conference he had spoken to lawmakers about disaster relief legislation. USDA currently has no program to cover the catastrophic losses of grains in storage from the widespread flooding. — Reporting for Reuters by Mark Weinraub and Tom Polansek in Chicago and Chris Prentice in Washington, D.C.